It was closet clean out day! One of my summer goals was to clean out my closet so that it’s not only easier to get ready each day, but because I knew there were items in my closet that I never wear. It took about 3 hours for Nick and I to clear out both his closet and mine. The end result? Seven (7!) 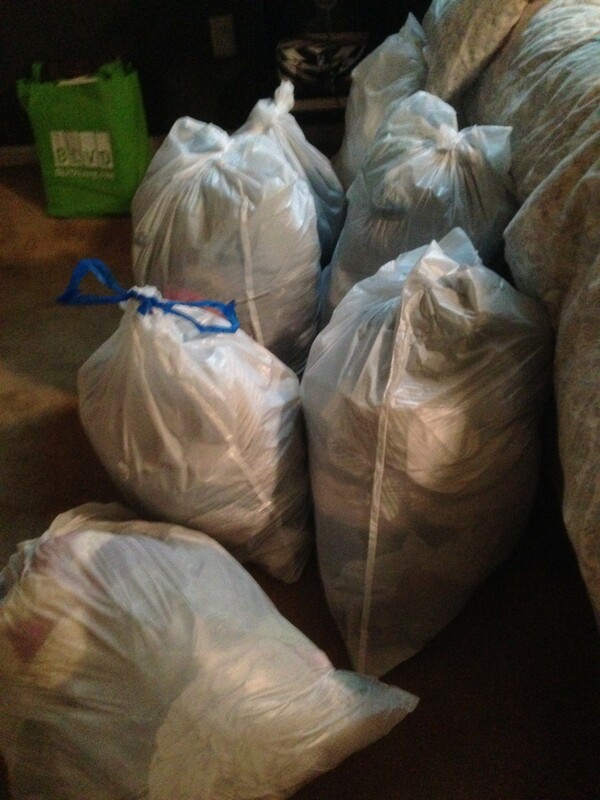 bags of clothing to donate! After cleaning out the closets, I was reminded of a blog I was following a while back. Have you all heard of Capsule Wardrobes? If not, check out fellow blogger Caroline, from Unfancy. She gives a great introduction into the world of capsule wardrobing, and what it entails. I love the idea of being minimalist in wardrobe pieces as a way to simplify, but I’m not yet convinced I would be able to stick with this. It did however help me purge some of the items I had been holding on to, thinking I would eventually wear them. After a big cleaning day, we wanted something quick and easy for dinner. When the weather forecast perpetually reads 100+ degrees, salad always sounds like a great healthy option. 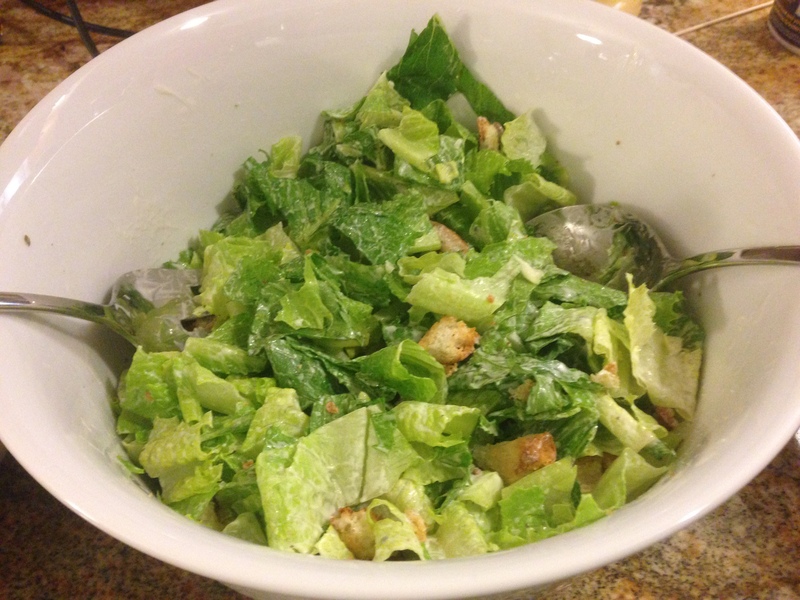 I washed and chopped up some romaine lettuce, lightly tossed it in ranch dressing, and made some quick gluten free croutons. I simply cut up some Udi’s gluten free bread into small pieces, tossed them in olive oil and garlic powder, and baked them in a 375 degree oven for 5 minutes. Nothing beats warm croutons right out of the oven. 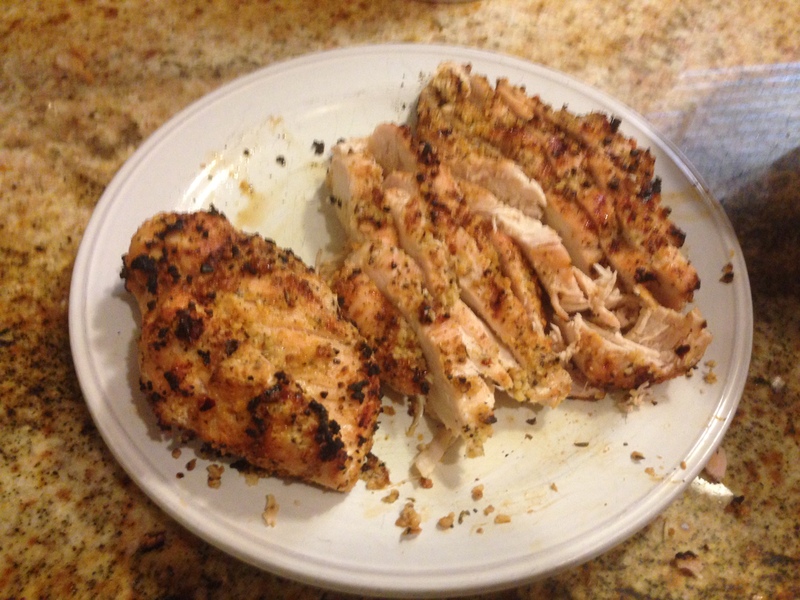 Nick grilled and sliced up a couple chicken breasts to top off our salads and to add some much needed protein. Our “house” seasoning blend is a combo of Morton’s seasoning and a roasted garlic seasoning. We have used this in sandwiches, pasta dishes, and salads, and it has worked well in all of them! Next postashleyanchored was nominated for a Liebster Award! Thanks so much for the nomination! I appreciate the support!